It’s been a beautifully gloomy day, complete with an especially long thunderstorm. I’m so looking forward to camping on the couch with sunflower seeds and Michael Myers. But first, this! Oh, man. GORGEOUS. I’m not completely sure if they’re new for 2014, but they definitely weren’t around last year. It’s the Cheetos BAG OF BONES! 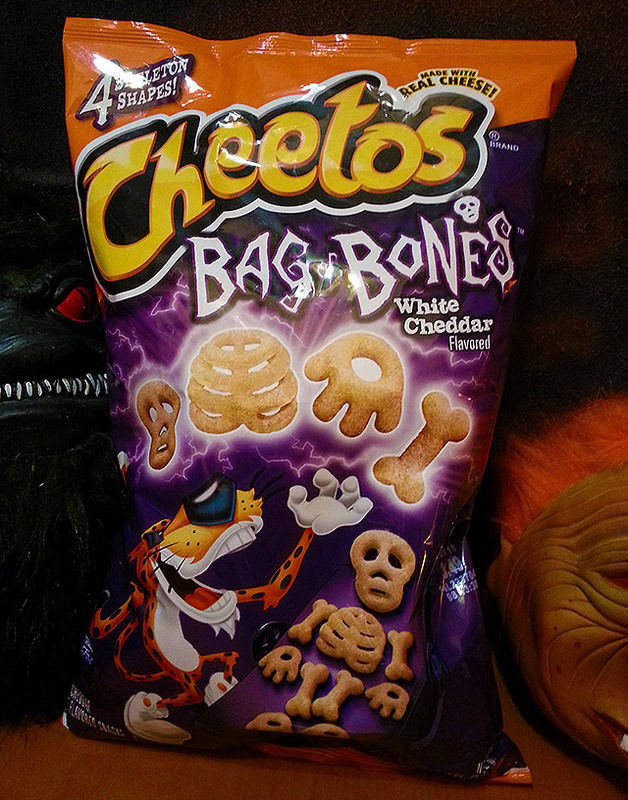 With “bones” in four different shapes, you’re afforded the chance to make complete skeletons out of white cheddar Cheetos! YAY!!! This one was good for 1174. No, it’s not mine. I do not know these people. I bought the photo from someone on eBay of all places. It spoke to me in ways even my own photos rarely do. It’s from 1992, and it perfectly encapsulates the Halloweens of my childhood. Everything about it is so on-target. Especially the spirited yet incomplete costumes, which were clearly the result of a quick trip to their local pharmacy’s Halloween section. When I was that age, that’s what Halloween was like for me. 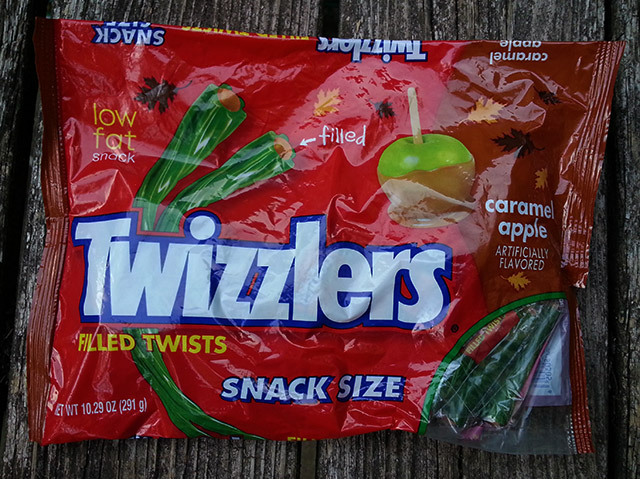 My friends and I were still young enough to go trick-or-treating, but too old to act like we really cared about it. We all did the “cheap Jason Voorhees” thing. For some reason, those hockey masks felt more like cool hats than “childish” Halloween costumes. We felt safe in them. We’d found a loophole. 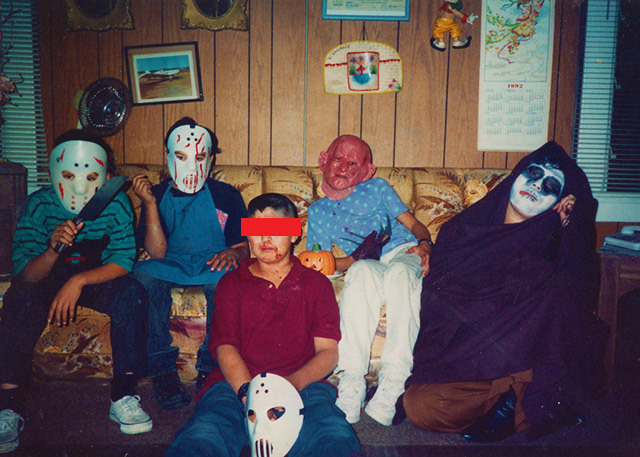 Preteen social stigmas aside, those were some of my favorite Halloweens. We were finally old enough to go out alone! We were finally old enough to venture beyond the same boring five blocks we’d grown up trick-or-treating around! And we were finally old enough to do it all at night. It was like we were masquerading as adults and kids at the same time. The photo sparks more memories than that. Look at that house! Is that my house? I’m pretty sure I used to live in that house. We had the same wood paneling. The same free wall calendar. The same crappy fan!